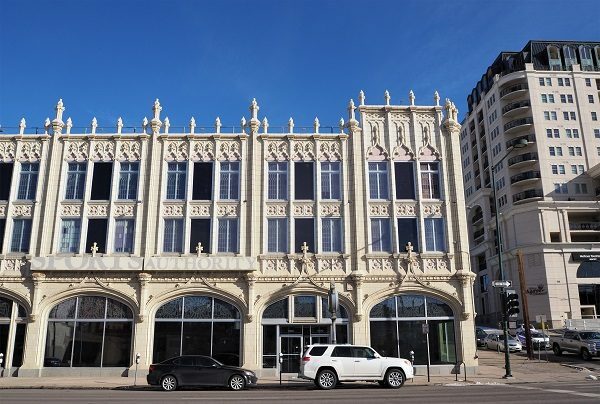 The vacant Sports Castle building on Broadway — a former Sports Authority — could be repurposed as part of a plan that would flank it with hundreds of apartments. Timothy McEntee, a local executive with Atlanta-based Wood Partners, submitted a development project concept to the city last week for the three-story building with a faux Gothic facade at 1000 Broadway, as well as adjacent sites that Gart Properties also owns. The plans call for structures to the north and east of the building to be demolished and replaced with a 16-story apartment building. The proposed apartment building would replace a parking garage and other buildings near the Sports Castle. A project concept is an early-stage development proposal that is submitted to the city. It is a precursor to the submission of a formal site development plan, which includes more details. The development proposals must be approved by the city and are subject to change. McEntee did not respond to requests for comment. The president of Gart Properties also did not respond to a request for comment. The new L-shaped apartment building that would wrap around the Sports Castle would have 511 units, according to materials submitted to the city. 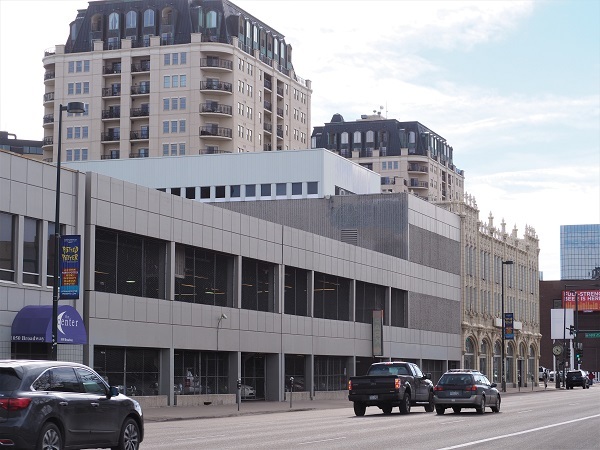 It would replace a structure immediately behind the Sports Castle, a parking garage next to it that regularly blares opera music, as well as office buildings at 1050-1060 Broadway and 1001 Lincoln St.
Gart Properties owns all of the parcels. 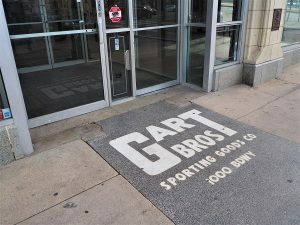 The Gart family ran Gart Bros. Sporting Goods Co., a regional chain, for decades; the company merged with the now-defunct Sports Authority in 2003. The apartment building would include 15,000 square feet of street-level amenity space along Broadway “envisioned as a coworking space for residents,” as well as a leasing center at the corner of 10th Avenue and Lincoln Street, according to the project concept. The plans, drawn up for architecture firm Studio PBA, call for 669 parking spaces. The three-story building was built in the 1920s and originally housed an auto dealership. The Sports Castle building was built in the 1920s for the Cullen-Thompson Motor Co. and housed an auto dealership for decades. 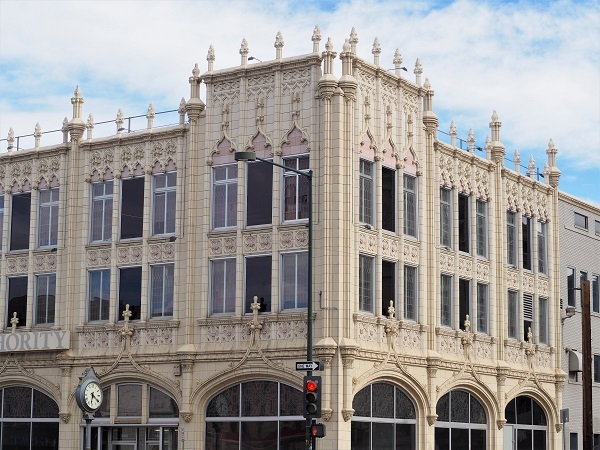 It was one of the few commercial buildings designed by prominent Colorado architect Jacques Benedict. 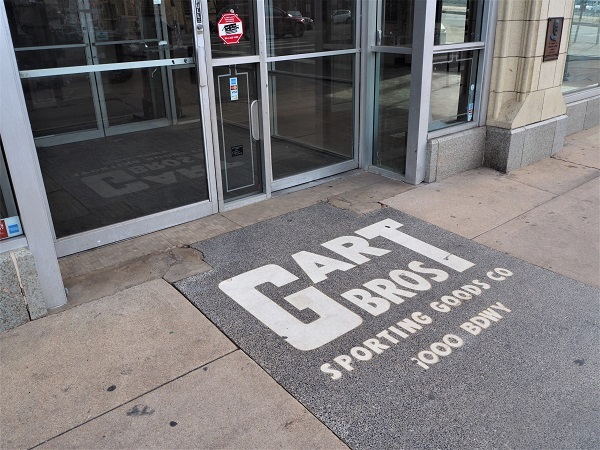 Gart Bros. opened a sporting goods store in the building in 1971; Sports Authority ultimately closed it in 2016. Since then, the building has hosted events and a seasonal Halloween store, but otherwise sat unused. 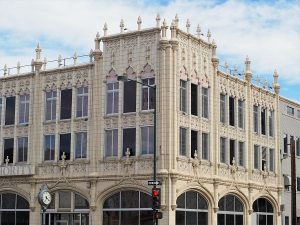 Annie Levinsky, executive director of Historic Denver, the local preservation advocacy nonprofit, said the building has not been designated as historic on a local or national level, but that it has a local fan base. “With Sports Authority’s closing, we got dozens of calls because people were concerned it could be in jeopardy,” she said. Levinsky said she’s had one preliminary conversation with Wood Partners about the proposed project and believes the company and Gart Properties are “very cognizant of its significance,” and open to potentially pursuing a historic designation, which could come with tax credits. “They understand the community would like to see it, and there may be some opportunities the designation would bring to support the project,” she said. Wood Partners, the company that submitted the project concept, has developed large apartment complexes around the country under the “Alta” branding. The building housed a sporting good store – originally Gart Bros., and later Sports Authority – for more than 40 years, ending in 2016. 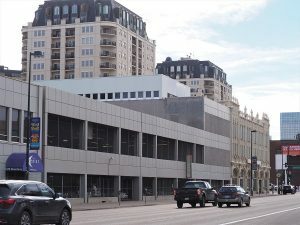 In Denver, according to its website, Wood Partners has developed Alta City House at 1801 Chestnut Place (since sold, now City House Apartments), Alta Alameda Station at 275 S. Cherokee St. (now IMT Alameda Station) and Glass House Denver at 1700 Bassett St., and is building Alta SoBo Station at 500 W. Cedar Ave. The company also has done suburban projects. The materials submitted to the city do not include any renderings of the proposed project. The proposed development is called Alta Castle. The Sports Castle is on the edge of the Golden Triangle, where several massive apartment complexes have been developed in recent years, with more on the way.